BluffTitler is a Windows desktop app for creating intro videos. Want to impress your family, friends and clients with spectacular 3D titles and intros? But do not want to use complex and expensive 3D animation software? 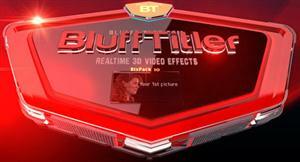 BluffTitler makes it easy and affordable to add 3D effects to your videos.